Come celebrate the fall harvest in Frecon's Orchard with performances featuring: The Manatawny Creek Ramblers, Hezekiah Jones, Fells Swoop and Mason Porter and an open mic from 10 am- 12 pm. Kids activities & carriage rides! Jamming in the orchard encouraged! Hard Bean Cafe: 128 E. Phila. Ave, Boyertown. Dragonfly: 398 Penn Ave, Reading. What a beautiful photo! 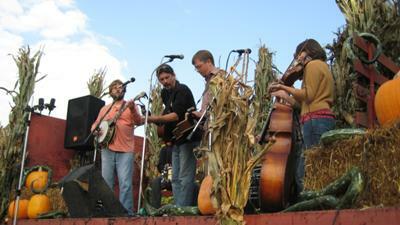 Thank you for sharing it with us and letting us know about the Frecon's 3rd Annual Harvest Bluegrass. I just love Bluegrass festivals. Can you let us know the exact date?